The Tour of Flanders is a 260km race from Bruges to – a new start from this year – Oudenaarde and is probably the most important cycling race for a Flemish cycling athlete or a Belgian cycling fan. I’m not an athlete, but I’m a fan and you know I also love to cook. 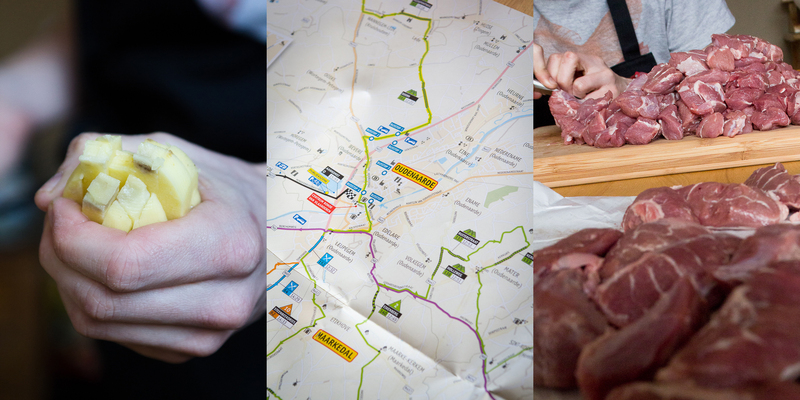 I wanted to organise a really culinary and sport event for some friends. It’s a lot of work to organise and so I asked Mister Mattias Camps, architect and cook to join me. The idea: 1st of April – 12 friends – 3 local unknown beers – a 4 course menu – the race on big screen – a Belgian winner (if possible). Every appetizer and the main dish matched with a beer. 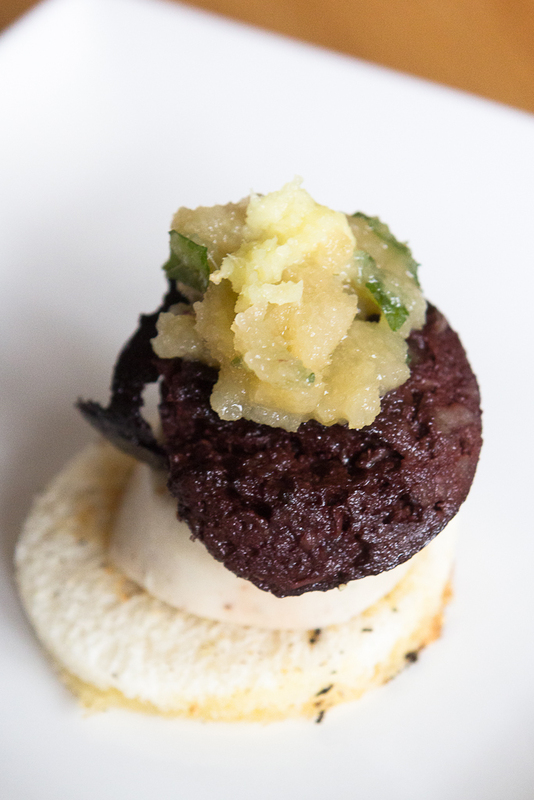 The first appetizer was called “black and white sausage with a toast, a ginger and apple granite and a touch of mint”. The first beer was the Keizer Karel Ommegang. The appetizer was very good, the beer was ok. 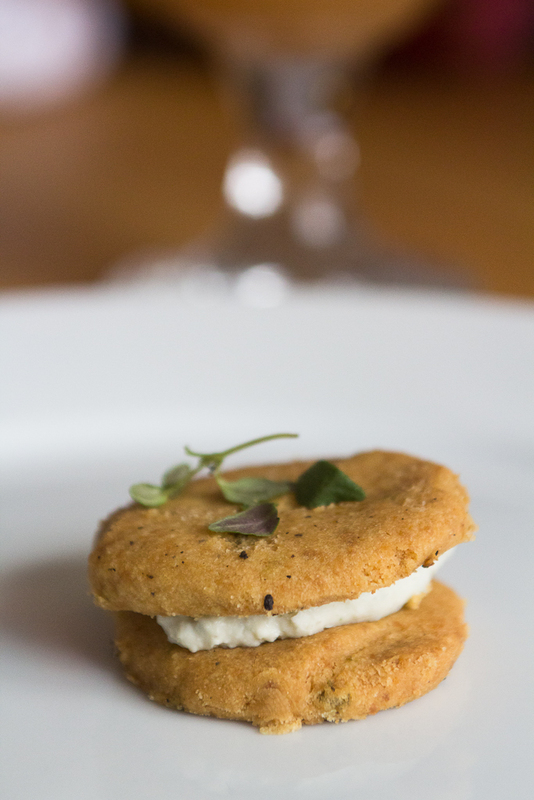 The second appetizer was a cookie with thyme and cream of “Pas-de Bleu“, a local blue cheese. We served it with Jan De Lichte, a white beer. This beer was really fresh and the best beer of the three. A lot of the friends liked this beer the most. So it’s one to remember. The recipe for the cookie is based on a recipe of Knack Weekend, a lifestyle magazine. My expectations were high, but I’m not 100 procent satisfied. The cheesy cream was ok, but the cookie was too “sandy”. We made it twice, so maybe it’s something with the recipe? I don’t know. 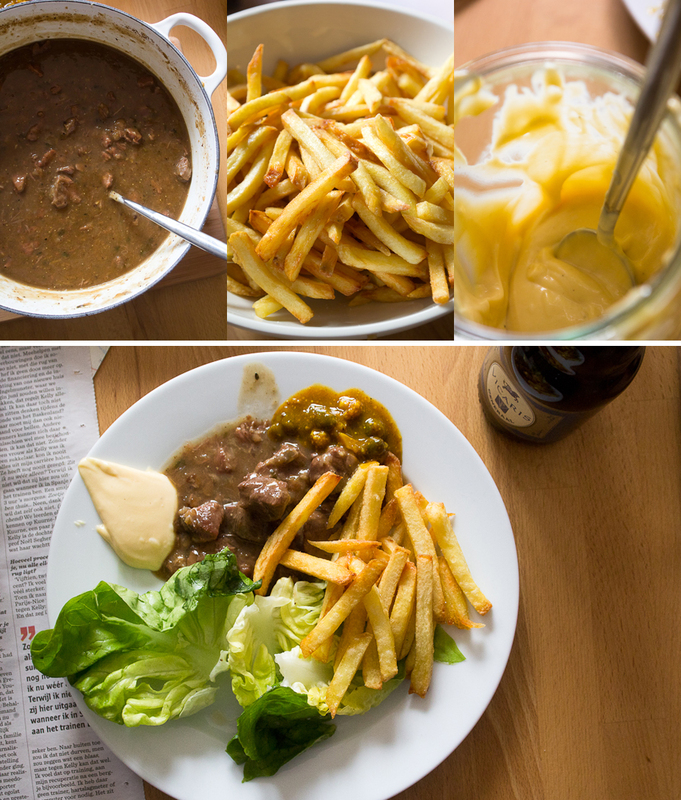 The main dish was also something typical Flemish: A stew of pork cheeks with Westmalle, homemade Belgian fries, homemade mayonnaise and homemade pickles. The dish was served with Vicaris Generaal, a brown beer. The dish and the food were really the “queen” of our menu. The meat was tender, the taste was great and the fries were probably one of the best I ever ate. Also the mayonnaise and the pickles were delicious. PS: For the non-cycling fans, Tom Boonen is Belgian.